“I was hoping to get a lot of participation, but what I received back was beyond my wildest dreams. People from all over the world and from every walk of life sent in incredible videos. Watching them moved me to tears"
GRAMMY® winning composer, Laura Sullivan, called out to the world to join her in a powerful plan to make a music video. Her request was simple. Take a video of yourself singing her song “900 Voices” and send it to her. The response was overwhelming. These 938 amazing people will make you happy. Elena from Bulgaria, still in her hospital gown, sings and sweetly kisses her newborn son. A group of children in Uganda, who were once homeless, sing and dance like they are the richest kids in the world. A fire department of tough guys from New Jersey gives it their all. “I was hoping to get a lot of participation, but what I received back was beyond my wildest dreams. People from all over the world and from every walk of life sent in incredible videos. Watching them moved me to tears. I hope I have honored these hundreds of wonderful people by including them in the video,” says Laura. 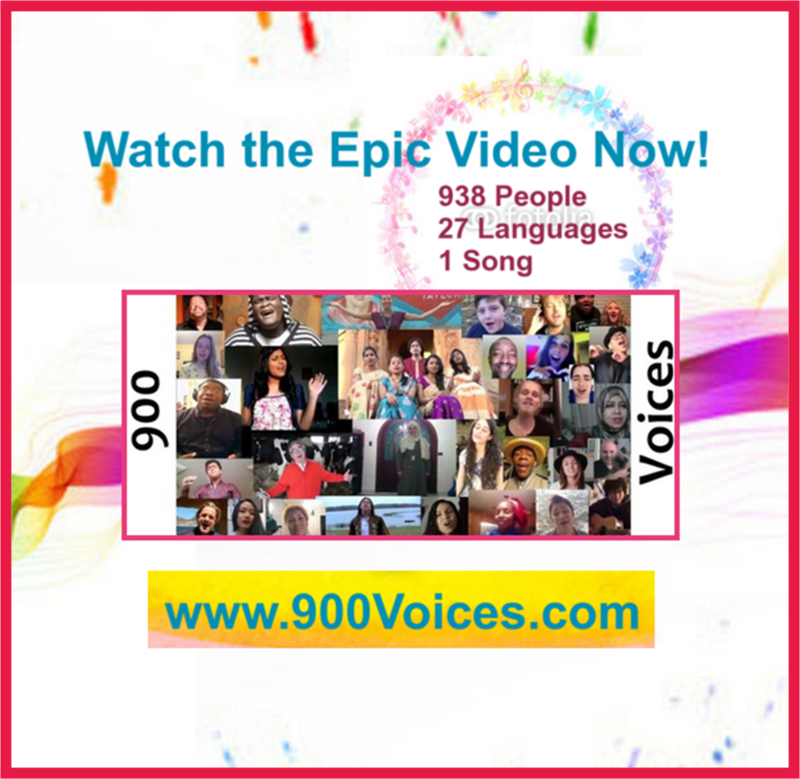 “900 Voices,” promises to make you smile, and maybe even cry. 938 people, 27 languages, 1 song. 50% of the music proceeds of “900 Voices” are going towards the national nonprofit Little Kids Rock. This organization partners with economically disadvantaged school districts to run music programs. To date they have served more than 325,000 children in 13 states. “Little Kids Rock is so grateful to Laura Sullivan for her support,” says Little Kids Rock Founder and CEO, David Wish. “It’s up to the big people to stand up for the little kids, and that is exactly what Laura is doing by including Little Kids Rock in her next project, inspiring our kids, and helping bring the lifelong gift of music to even more kids in our nation's most economically challenged school districts!" Laura Sullivan is a producer, author and GRAMMY® winning composer and recording artist. Her original music has been included in the score of two Emmy winning documentaries, as well as in many popular television programs and advertisements for Fortune 500 companies. Her music publications are represented by BMI, which holds more than 500 of her original compositions in her prolific Composer/Songwriter catalog.